For the lay person seeking treatment for anxiety and depression, as well as other mental health problems, the range of therapies on offer can be confusing. Cognitive Analytic Therapy is relatively new but its supporters believe it can be highly effective. It seeks to combine the best of behavioural and analytic approaches to depression counselling. CAT was developed by Tony Ryle, a UK based medical doctor and psychotherapist who first used the approach treating clients at the prestigious Guy’s and St. Thomas’s hospitals in London. Over the 25 years since it was launched, the underlying theories have been tested and developed with participation from therapists working in Finland, Australia, Spain and Ireland. The therapy is now well established in these countries. Greece and New Zealand also have a growing number of active users of this form of counseling for depression and anxiety. Treatment usually begins with an informal meeting between client and therapist. Here the client has the opportunity to explain his or her reasons for seeking help and the therapist will outline what the course of treatment will entail, what it can achieve and how long it will take. Normally client and therapist will agree to set up a regular series of meetings at mutually acceptable times. The most commonly agreed number of sessions is 16 but it could be more or less depending on what the therapist thinks is appropriate for the client’s situation. Sessions will normally last around 50 minutes to 1 hour. The client will be helped to target specific problems and patterns that may have prevented them from making changes in the past. The therapist will write a letter to the client summarising their history and will work jointly with them to create a personal map that the client can use to heighten their self awareness. Homework will be set to enable the client to try out different ways of relating to themselves and/or others. The client is encouraged to be as open as possible in discussing their thoughts and feelings so that patterns from the past can be identified as they emerge in the relationship between therapist and client. The essential difference between CAT and the more widely used Cognitive Behavioural Therapy is that there is a focus on the client’s subjective feelings as well as their thoughts and behaviour. There is an emphasis on how the client relates to themselves and others and how this has its origins in the client’s childhood experiences. “Cognitive Analytic Therapy involves a therapist and a client working together to look at what has hindered changes in the past, in order to understand better how to move forward in the present. Questions like 'Why do I always end up feeling like this?' become more answerable,” according to Tony Ryle's article titled "Introducing CAT." Cognitive Analytic Therapy emphases the "three Rs of therapy" – reformulation, recognition and revision. The first of these is the key to success because it forces the client to recognise the nature and origin of the problem that brought him/her into therapy. 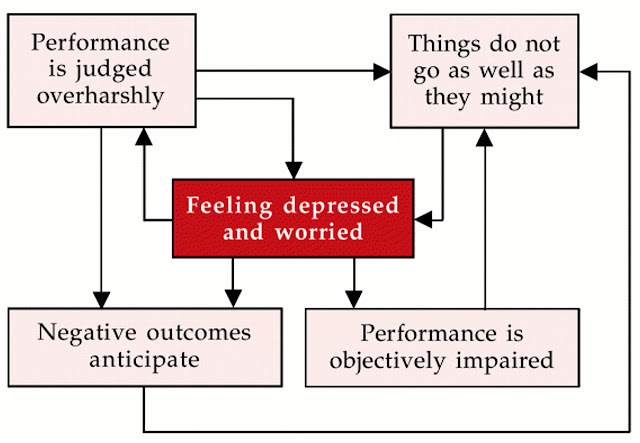 It is achieved through written and diagrammatic analysis that's performed jointly between therapist and client. Client and therapist then work together over several sessions to revise the problematic behaviour. Toward the end of therapy, issues of loss and separation are discussed in a way that addresses any disappointments as well as the successes of the therapy. Goodbye letters are exchanged and arrangements are made for a follow up session, usually a month to three months later to monitor progress. CAT is available in the UK through the NHS and in Ireland through the HSE. A number of accredited therapists also offer their services privately in both countries. These are listed on the Association for Cognitive Analytic Therapy website (see link above) where it is also possible to find out a great deal more information about this form of treatment.